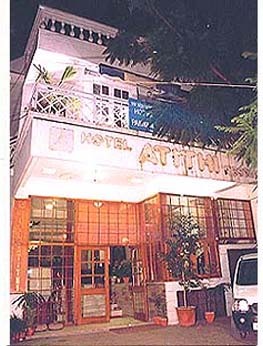 Hotel Atithi takes pride in offering its guests a peaceful and tranquil heaven. The perfect retreat for visitors and business travelers alike. Hotel Atithi has been completely transformed into a luxury hotel providing discrete accommodation with sumptuous comfort and vide variety of Indian and Italian Food. It's always a pleasure to provide guests with all amenities at finest downtown hotel of Dehradun. Make a concerted effort to please our guests with unsurpassed service, luxury, entertainment and conveniences. The entire staff of Hotel Atithi strives to maintain this level of superior service. From the second you check in to the moment you check out, you'll experience our dedication to excellence firsthand. And this commitment has paid off time and time again the form of acknowledgments and awards. Hotel Atithi carefully designed with flexibility in mind, with unique air conditioned Conference Rooms, versatile Syndicate Suites, and magnificent dining and entertaining facilities, The Hotel is extensively equipped to satisfy a wide range of Conference & Banqueting requirements.